TEN7AVENUE: May the Shock be With You!!! May the Shock be With You!!! With the popular Star Wars movie, "may the force be with you" has taken place with much of photos handling the laser sword - which has a name which I forgot (sorry for that). 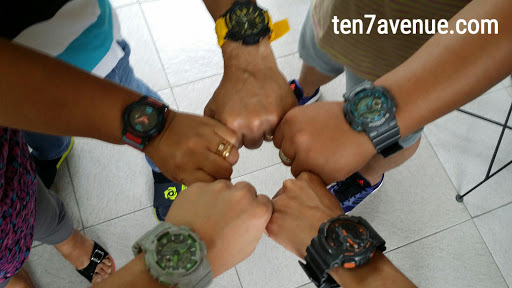 Anyways, just a photo with G-Shock on...not much fun of these watches, huh? :-) Just wishing everybody a Happy Happy New Year! 2016 is a very good year to start a lot of things.